What is EPS (Expandable Polystyrene)? Expandable Polystyrene is a rigid cellular plastic that was developed for food containers and general packaging applications. The raw material can be expanded to a desired density for the specific application required. 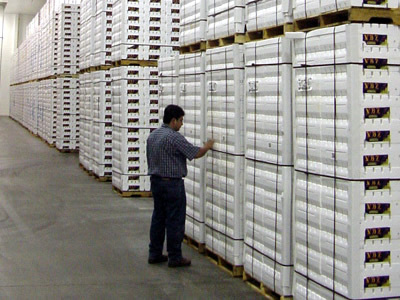 The designed advantages of EPS are: EPS is inert, EPS is safe for food contact, EPS does not support bacterial growth, EPS is resistant to moisture, EPS is recyclable, EPS has excellent insulation properties, EPS can be processed to be strong enough to do the job and therefore there can be a considerable weight savings over alternatives. There are many types of EPS that are available because of the great range of applications for EPS. APTCO is committed to select the best material for this application and to work with our suppliers to improve the material for a better quality final product. EPS arrives at APTCO as small beads in 2,205 lb containers. When controlled heat is applied to the beads they expand to the required density. How much and how long heat is applied determines the final density of the expanded beads. APTCO takes special care in this part of the process to try and make every bead the same density by controlling the process and minimizing variation in the process. If this is not done properly heavy boxes and light boxes will result from the same mold. APTCO knows that its customers count on every box to be capable to handle full load of three pallets of grapes, so we precisely control the weight of the box. After EPS is expanded it is dried and stabilized in silos. APTCO also takes care to control this process to minimize variation and deliver a consistently aged bead to the molding machine. The molding process has four parts, filling the mold with expanded beads, heating and fusing the beads into one solid mass, cooling the mass into a rigid part and ejecting the part. APTCO has all single cavity molds to produce the most consistent part. Multi cavity molds produce more parts but sacrifice consistency. A multi cavity mold does not fill the same amount in each cavity, the steam cooking process can not be identical for each cavity, and the cooling of the mold will be slightly different for each cavity. All APTCO molds are the same and all molding machines are the identical. The result of minimizing variation throughout the process is a consistent part from mold to mold, cycle to cycle, day to day and month to month. Is EPS Harmful to the Environment? Although EPS foam is made up of carbon, oxygen and hydrogen atoms, when it is fully combusted it releases water vapor, carbon dioxide and trace levels of ash, which is the same as paper. Unlike paper Pulp where it “comsumes between 70-115% more energy, results in 9-31% more air pollution and emits between 323-348% more greenhouse gas.” (Info Kunststoff, 1995) EPS does not contain any sort of CFCs (Fully halogenated chlorofluorocarbons) or HCFCs. Although EPS can not biodegrade rapidly it can however biodegrade very slowly giving the state of its foam form, therefore making it a controversy to the environment. APTCO goals is to recycle EPS products to provide a cleaner and better environment. Does APTCO make a heavy density box? All APTCO grape boxes are made with the same density material. This material is formulated and expanded to make a box strong enough for three pallet high configuration in cold storage for the 5S, ME and 7L boxes. Our grape boxes have a successful proven history for three high configuration in cold storage. Therefore compare our standard box to our competitors heavy density box for pricing purposes. We do not have a light density box. How soon after manufacture can an EPS box be used? As a result of strength testing EPS boxes, APTCO has determined that a minimum of ten days must elapse from manufacture to use of the grape box in cold storage. This is a result of the modling process and the type of EPS used. 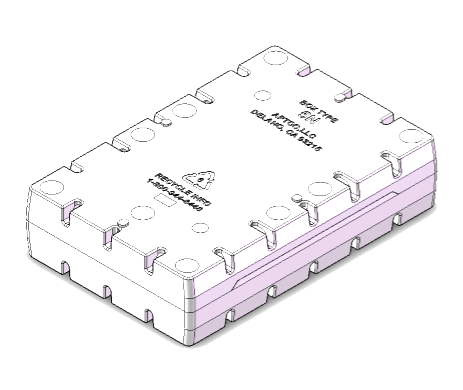 What are the advantages of APTCO’s box design? When you remove the APTCO lid, push in slightly on the bottom under the lid lock and lift the lid off. The lid lock will keep the lid on in transit and during movement around your cold storage. The step on the side helps lock the lid on but does not overstress the lid lock during lid removal. The high step on the inside of the bottom of the box prevents crushing of grapes in the seam when the lid is installed. Why is an APTCO box less expensive to use? Every part of the molding process has been designed to make a consistently strong box. APTCO’s customer’s report less wastage in the field from mishandling damage. The new APTCO lid design is stronger, easier to use and does not damage grapes when the lid is put on. The box was designed to stack 10 layers per pallet, three pallets high in cold storage. This reduces your cold storage needs. The consistent product results in straight vertical columns in cold storage that have more safety factor than competitor’s boxes. What are the special considerations regarding the storing and use of EPS boxes? EPS is highly flammable and will produce thick black smoke when burned. It is difficult to extinguish while burning because of its cellular nature entraping oxygen. Please review MSDS sheet enclosed for more information regarding EPS. Precautions that are listed in the APTCO manual must be followed or catastrophic failure of the box may result. The box is designed to be used in cold storage up to three pallets high but damage to the box or improper stacking could cause failure of the box resulting in a pallet column toppling. APTCO will stand behind our box but not if it is used improperly. In 1996 APTCO,LLC was created when two table grape growers decided to start their own EPS grape box company. APTCO has the equipment to recycle the scrap from APTCO and our competitors. Our company is ready to answer any questions or concerns. © 2013-2019 APTCO All Rights Reserved. Web Design and Development by IES, Inc - Server: IES-V3-3.